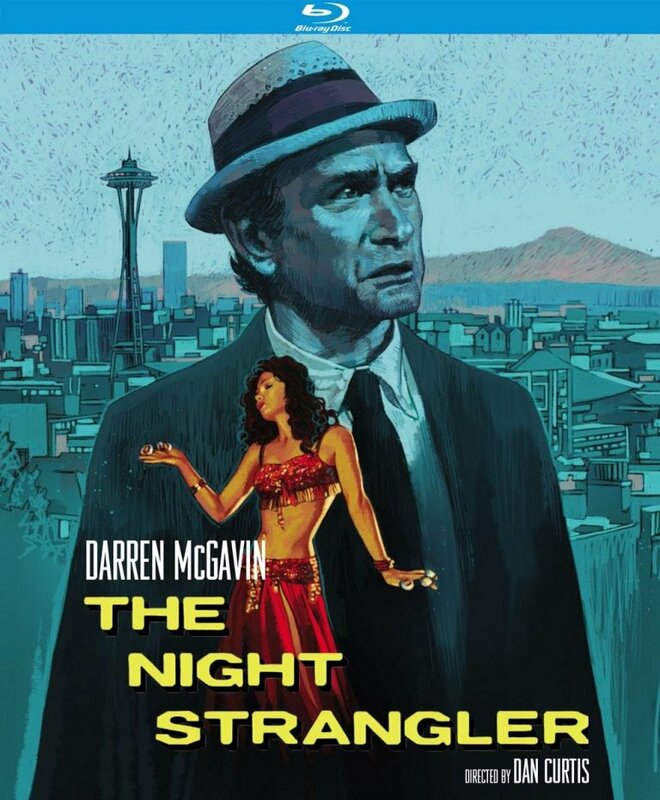 'Kolchak: The Night Stalker' and 'The Night Strangler' Coming to Blu-Ray this October From Kino Lorber - Horror News Network - The Horror News You Need! Darren McGavin’s The Night Stalker’s impact on the horror genre can not be denied and has had a “monstrous” influence on everyone from Chris Carter to Joss Whedon. Unfortunately, the many fans of the short lived series (it only ran for twenty episodes in 1974-75) have had a hard time tracking down the episodes. The series has run intermittently on SyFy, MeTV, and was even on Netflix until last year, but physical copies of the series, and the even more elusive TV movies, have been very hard to come by. Luckily for us, Kino Lorber Studio Classics will be unearthing the original two films that kick started Carl Kolchak’s career in October with the release of The Night Stalker and The Night Strangler, and both will be available on blu-ray for the first time (and this is also the first time any of Kolchak’s adventures have received a blu-ray release/restoration). Each film received a 4K restoration and numerous bonus features such as commentary by film historian Tim Lucas, interviews with the director John Llewellyn Moxey and composer Bob Cobert, as well as featurettes on the films. The blu-ray editions will also include a limited edition booklet essay by film critic and author Simon Abrams and a collectible slipcase. Each film will be sold separately on blu-ray and dvd with new cover art by Sean Phillips of Criminal and Sleeper fame. The original Night Stalker movies were released as a double feature in 2004 (by MGM) and have since gone out of production (a sealed copy will cost you upwards of $60 on the secondary market). For those fans searching for the original 20 episode series, they can be found on the recent Universal DVD set (and here’s hoping that the series finally gets the 4K upgrade ala Kino’s upcoming films). The digital episodes are also available for purchase on Amazon. Stay tuned to Horror News Network for all the news we can track down, just like our idol Carl Kolchak!